Review of the first episode of the Netflix original "The Crown"
Sometimes you get to binge watch and other times you don't. This is one of those times. 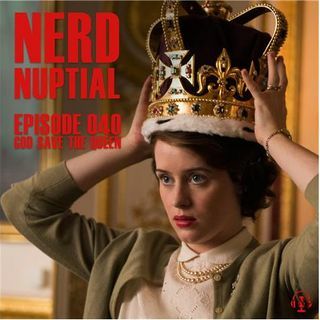 Your Nerd Nuptial crew was only able to watch one episode of the Netflix series "The Crown," but of course they still have something to say about it. They talk Elizabeth's future, John Lithgow's performance, and what could Margaret possibly be up to? They start the show with an update on the status of the ... See More network and it's glowing future.